Thoroughly clean the hardwood floor. 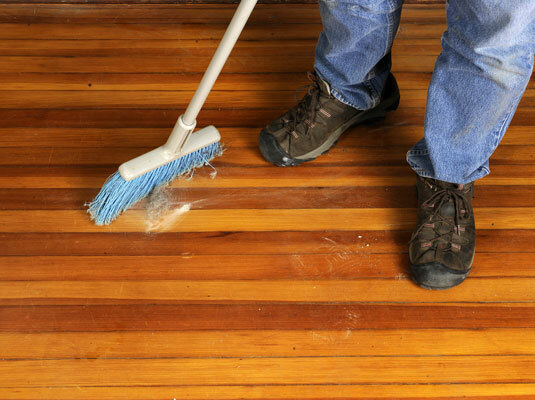 Dirt and grit on the floor can create gouges in the floor when the floor is sanded. Tape dropcloths made of heavy vinyl at doorways and cabinets to seal off the work area. 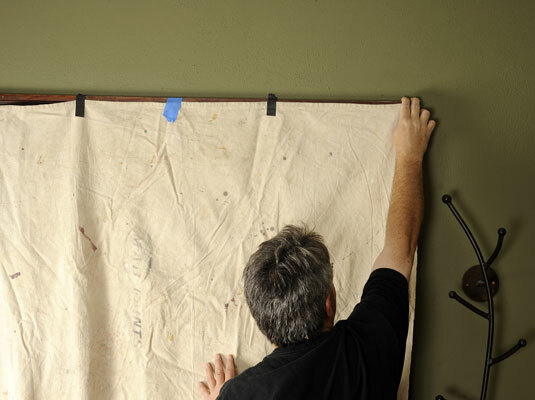 Pull the base shoe moldings away from the wall enough to see the closest nail. 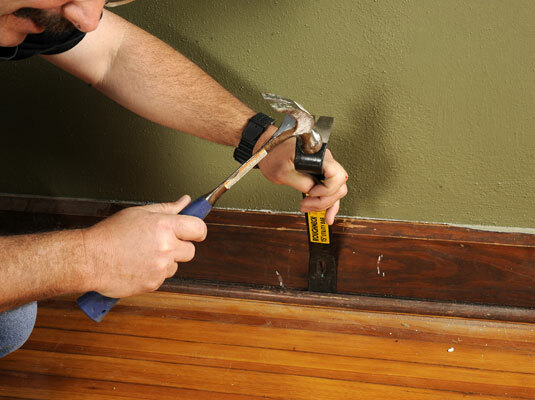 Carefully drive the pry bar between the floor and the molding and lever the molding away from the wall a bit. Peek between the molding and wall and find the closest nail. Remove the pry bar and reinsert it as close to the nail as possible. Pry the molding loose at each nail to avoid breaking the molding. 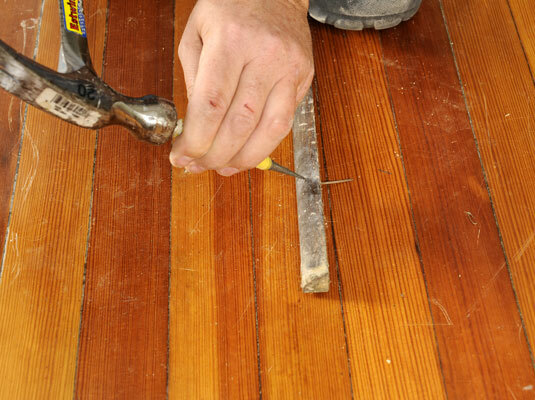 If a nail refuses to budge, use a nail set to drive the nail through the molding. Sweep the floor again, if necessary. 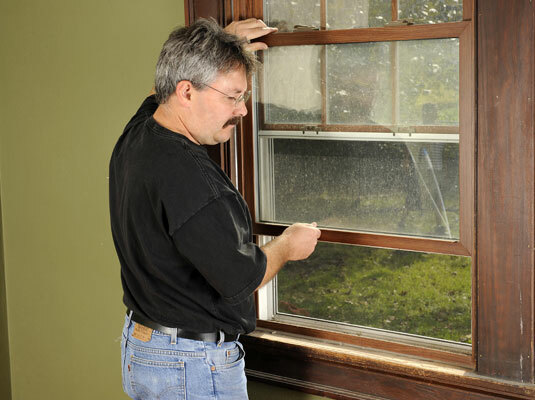 Before you begin sanding, open the windows and get anyone not wearing protection out of the house. Sawdust can be very damaging to the lungs, especially to kids and folks with respiratory conditions.